For most businesses, profit is the bottom line. Conventional wisdom suggests that concerns about social and environmental impacts, though well-intended, can distract from a public company’s legal obligation to reward shareholders. But if this conventional wisdom were true, Vermont’s Green Mountain Power ought to be lagging behind its investor-owned electric utility peers. Instead, since the utility company was certified as a benefit corporation (B Corp) in 2014, Green Mountain Power has found financial success while maintaining social and environmental sustainability: a triple bottom line. 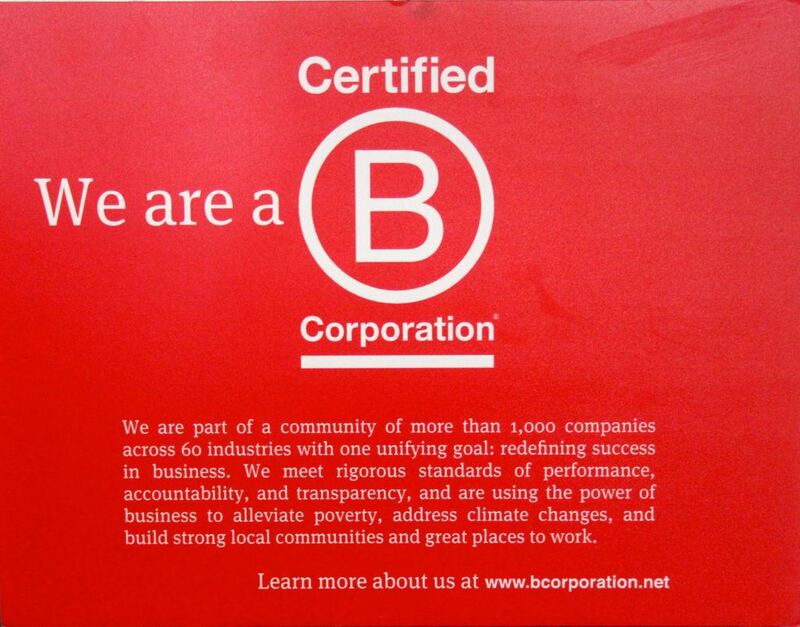 To become a B Corporation, a company must meet the environmental and social standards of the non-profit group B Lab. On its B Impact Report, Green Mountain Power qualified with especially high scores in its workplace and environmental performance. 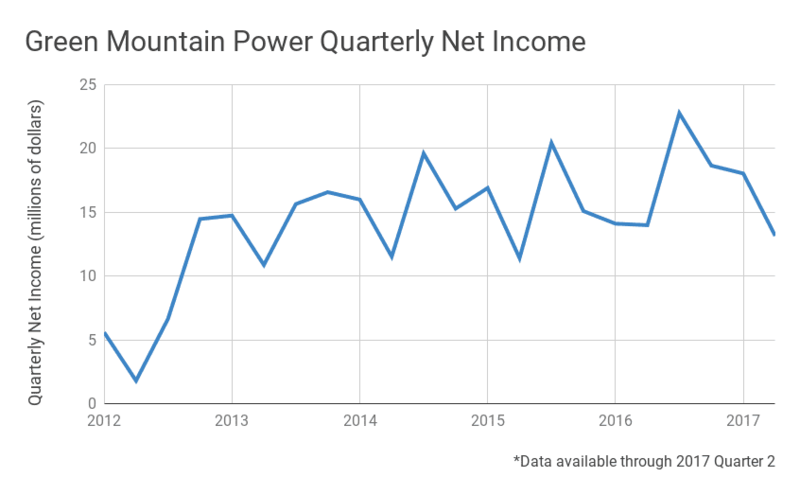 Despite engaging in conventionally “poor” business practices, the following charts show that Green Mountain Power’s net income is still growing, and even outpacing peers in the utility industry. The first chart shows Green Mountain Power’s income growth, the second shows how it is outpacing investor-owned utility peers, based on an index of investor-owned utilities as tracked by the Edison Electric Institute. 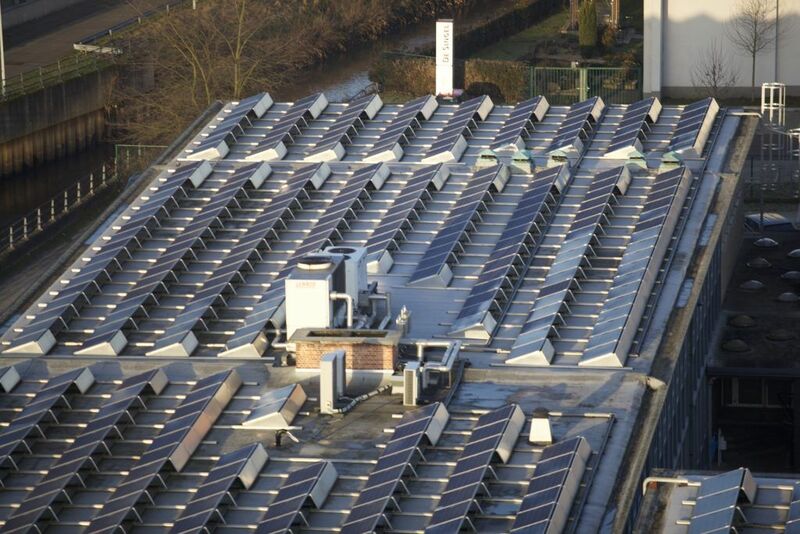 What has kept business profitable for Green Mountain Power as a B-Corp? 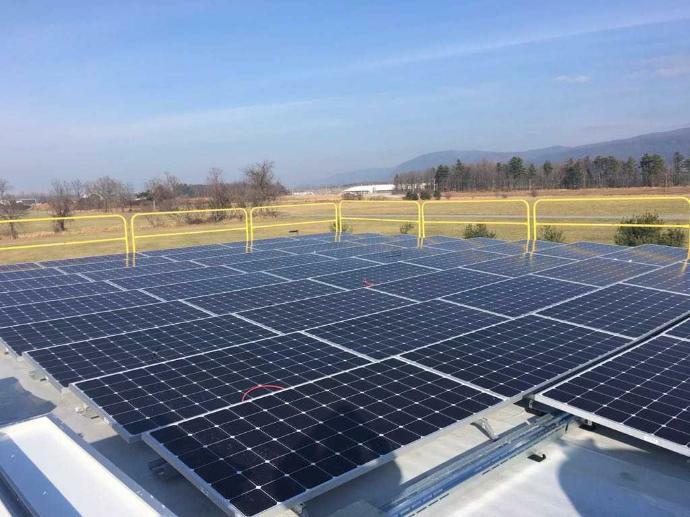 Since we interviewed Green Mountain Power CEO Mary Powell for our Local Energy Rules podcastin 2016, the company has started several new initiatives. Three years after first being certified as a B Corp, Green Mountain Power received a recertification from B Labs for upholding commitments to transparency, community, their employees, their customers, and the environment. Fast Company Media named Green Mountain Power as the #1 most innovative energy company in their 2018 report. The Smart Electric Power Alliance ranked Green Mountain Power as #10 in the country for most energy storage installed per year and total installed per customer. 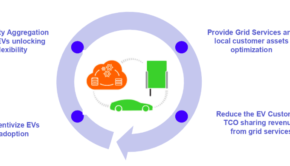 Four years is short time within the business cycle to make any strong conclusions, but Green Mountain Power continues to prove that valuing people and planet, along with profit, can be profitable for an electric utility. The company isn’t stopping, either. In early 2018, Green Mountain Power advanced a plan to halve their current greenhouse gas emissions. Despite Green Mountain Power’s success, no other utilities have followed suit. But if utility CEOs want a business model that can combine customer service with profitability, this Vermont company may be a model to follow. For more on Green Mountain Power and how it became a Benefit Corporation, see our podcast from Local Energy Rules or this post about GMP’s history and process of becoming a B Corp.